Large green pubescent leaves form rosettes on low, compact plants that grow to 2 inches tall. 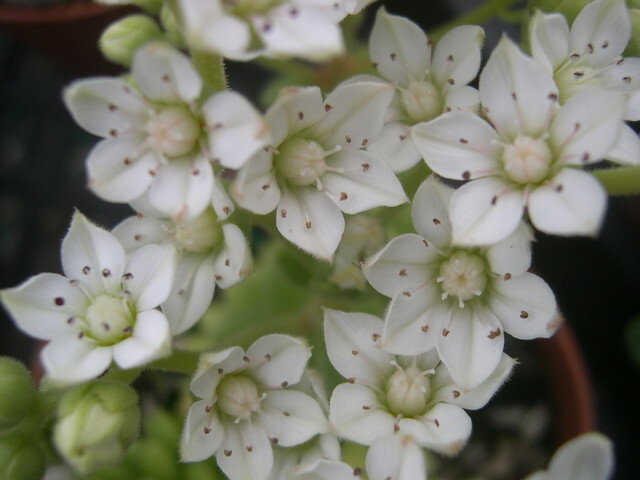 White star-shaped blossoms with wide petals hover above the foliage on long stems. Tender perennial from southern Spain. Requires well drained soil and is happiest if protected from winter wet. Evergreen.